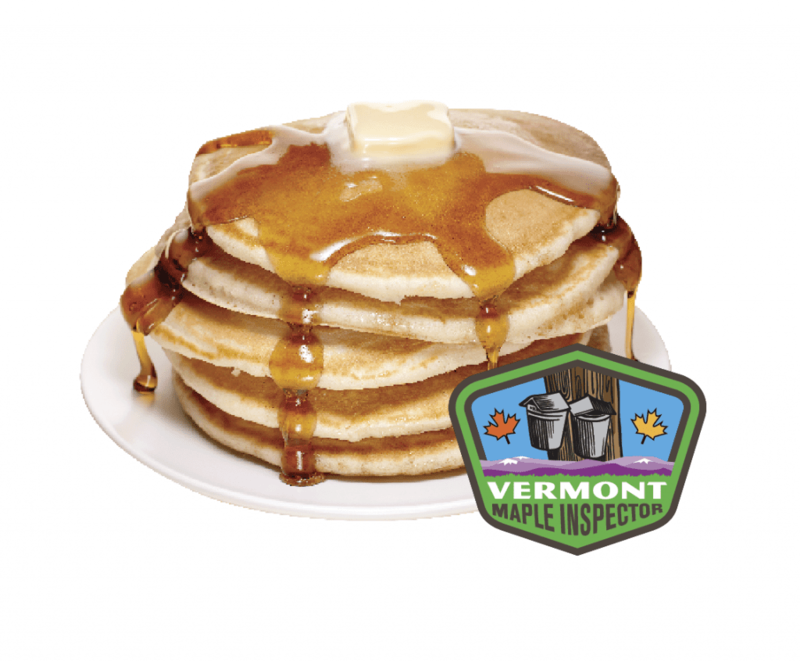 Blog Home | Vermont Maple Syrup: Would Your Syrup Pass Inspection? Last year during sugaring season, I headed up to northern Vermont to visit with Dave Marvin and his children, Emma and Ira. Dave and his family are wonderful, salt-of-the-earth Vermonters who manage a legendary “sugar bush”—that’s what we call a grove of sugar maple trees used to make maple syrup. Dave’s father, Dr. James Wallace Marvin, was a research professor who dedicated his career to understanding sap flow in sugar maples. His work led to the creation of the ingenuous tubing and vacuum systems we use these days to collect sap. Before that, we collected sap one bucket at a time, usually knee-deep in snow. I consider Dave to be the “Maple Mayor” of Vermont. He is a tireless champion of quality, purity, and strict standards. Jokingly, I asked him if he carried some sort of official badge. A month later, Dave sent me a patch that said “Vermont Maple Inspector.” Now I carry it with me proudly, and I even had a special hat made with the patch that we offer in our store. One morning I was at a local eatery and the syrup tasted a little funny to me. I questioned our server and she came clean: to cut costs, the chef had resorted to blending the maple with corn syrup! I reminded her that local customers would never forgive them if they didn’t clean up their act. I’m planning another visit soon for a follow-up taste-test. Vermonters won’t abide anything less than 100% pure maple syrup–backed by state law and the world’s strictest maple standards. We respect the tremendous effort required to produce this “liquid gold” and every drop we sell is guaranteed to be pure. Take it from an honest-to-goodness Maple Inspector!